For the 3rd consecutive year, Dolphinaris participated in the Laguna de Terminos Project in Campeche. 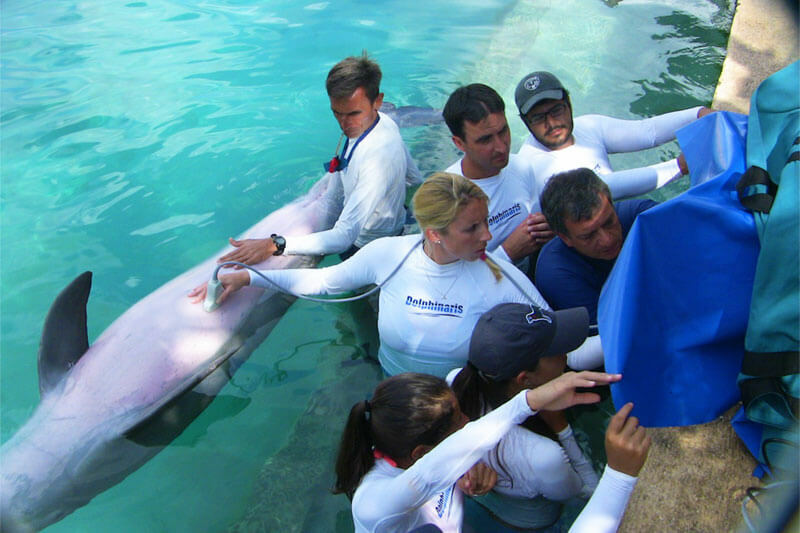 Dolphinaris had the pleasure of partnering with Universidad Autónoma del Carmen (UNACAR). The Amikoo Foundation helped by donating funds for the project. What is the Laguna de Términos en Campeche Project? 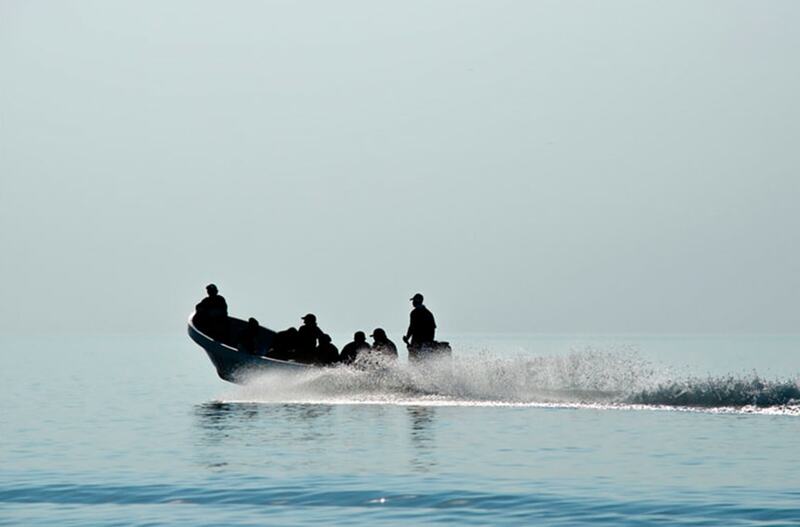 The Laguna de Términos en Campeche Project involves examining, evaluating, and recording the health status of the bottlenose dolphins living in the area. With this data collected, qualified scientists can infer the amount of environmental pollution in the area. Why Laguna de Términos en Campeche? Here you can find one of the densest populations of wild bottlenose dolphins in the world. The reason for this is, the rich abundance of resources in the lagoon. This allows the entire food-chain to flourish. This makes it the perfect area to perform an evaluation, for not only the region, but all of Mexico. If diseases, poor health, or significant pollution is detected in the region, or in its marine life, we can safely assume this is a warning signal for the rest of Mexico. If not the world. In other words, this project is not only important for Campeche, but everyone else as well. Dolphinaris’ participation is key in the whole process. We provide vast dolphin care experience. Our trainers and veterinarians make up our highly qualified team. 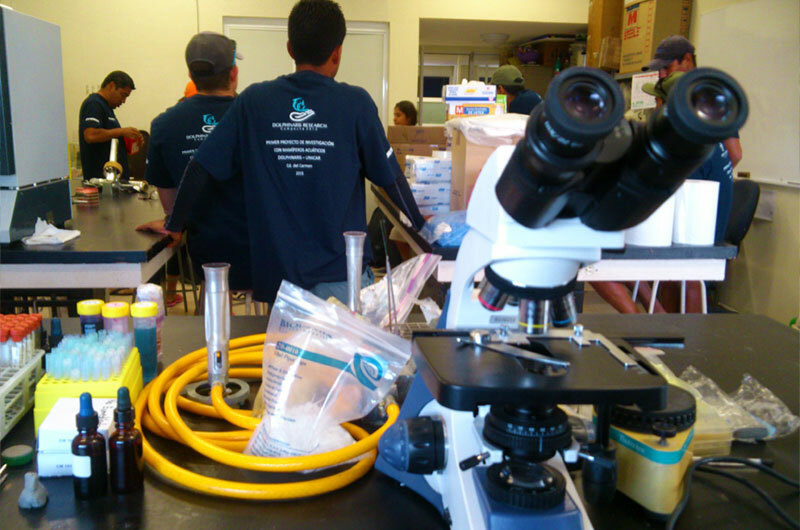 We apply the same proven techniques we have used when collecting samples at our dolphinarium. This way, we can ensure that no wild dolphin is harmed in any way. First, we implement some safety guidelines. Work with one animal at a time. And of course, the most important safety guideline of all: treat the mammals with professionalism and respect. 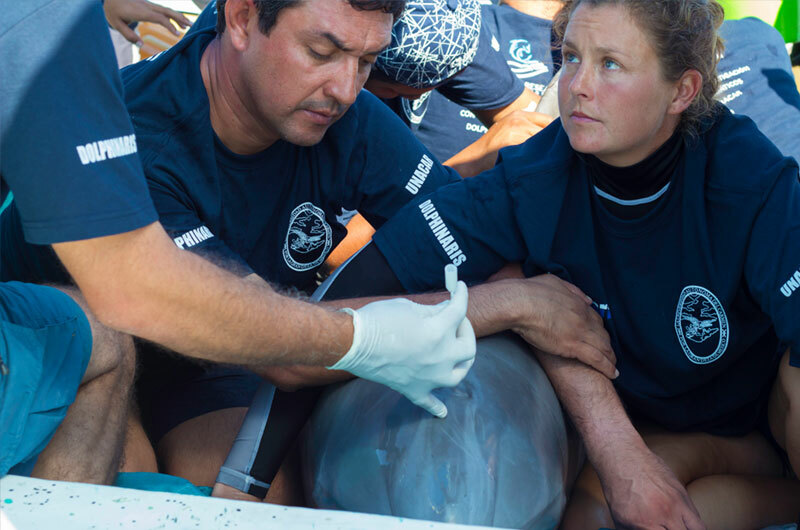 Thanks to these investigations, we have been able to determine that the dolphins in the region have a significant concentration of pesticides. Unfortunately, these toxins weaken their immune and endocrine system. This leaves them vulnerable to diseases. The good news is, now that we know, we can pass this information on to the proper scientists. They in turn, can develop a strategy that will help reduce this sort of pollution in the future. Dolphinaris is proud to participate in this unprecedented conservation event. This research is not only important for our dolphinarium, but the ecosystem of Laguna de Términos, and of the entire state of Mexico.